There's nothing inherently wrong with linearity in games. That's right, linearity isn't the problem. Now, if you just don't like linear games, that's fine and understandable; they're different after all. But don't go saying they're bad because of that. If the game actually is bad, it's usually due to poor level design or gameplay; and no, linear levels do not equal poor level design. In fact, linearity makes good level design easier. Linearity means that the game designer knows exactly where the player will be and can plan the enemies and obstacles accordingly to present just the right amount of difficulty, problem solving, and instruction. It might not seem like it to you, but if the game is good, everything is in its particular place for a reason. That "scripted" goomba is just so boring, right? I've heard people whining about Half-Life 2 just being a bunch of scripted events. Boo hoo. 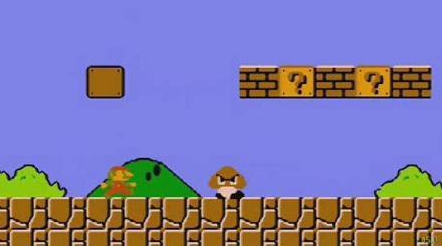 How about that scripted goomba in Super Mario Bros.? It's always there in the same place every time you play! How boring and predictable, right? Wrong, doofus! 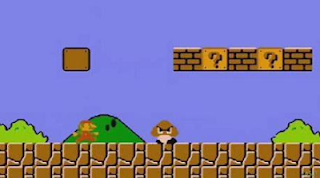 That goomba is there to teach you the sacred art of jumping right off the bat. A better example is the tutorial level of Megaman X, which presents you with an enemy you can jump over, then one you can't and have to shoot, then some you have to shoot while jumping, and then there's this "terrible" scripted event that breaks the bridge and makes you fall into a pit that teaches you how to wall jump out of. Oh, and all this doesn't even need to use on-screen instructions to teach you. All these enemies are the same every time you play and are designed with a specific solution in mind in order to teach you how to play the game. By the way, every game is made up of scripted events; that's what programming is. 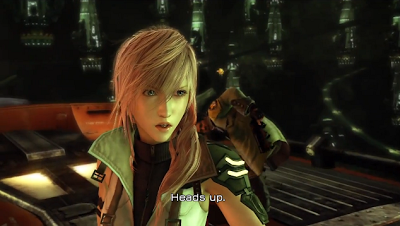 Maybe what you mean by "scripted event" is "mini-cutscene" or "Quick Time Event (QTE)"? "Alright, fine," I hear you say, "Teaching stuff is all well and good, but what about scripted events mid-game?" Well riddle me this, Batman: what if well-placed "scripted events" also made the game more cinematic, epic, and cool? Just because they're overused and often misused, doesn't mean that they are inherently bad. If done right, they can actually make the game more fun. Uncharted uses scripted events to make you feel like you're in an action movie. "Yeah, but modern FPS games are just walking down pretty hallways and shooting stuff." That may be true, but you're still presupposing that this is a bad thing. Liking a maze-like FPS more than a linear one is purely a matter of personal preference. Half-Life 2 is not Doom and it is not supposed to be. Linearity can define sub-genres [also just because you have to backtrack to find a key doesn't make something nonlinear]. Linearity gives you two general kinds of FPS games as mentioned, it gives you the difference between Skyrim and modern Final Fantasy, and the difference between Super Mario 64 and Super Mario Galaxy. None of these are better or worse than the other simply because of their linearity. Liking one over the other just because one is more open or has more choices is simply a matter of taste. Let's focus on storytelling in games for a sec. I hear you guys complaining about linear modern JRPGs, but you know what else is linear? Books and movies. In "Video games are better than books", I said that one of the advantages of games is that you can have branching storylines. The important word here is "can". Letting the player do whatever they want is an option open to developers, but it is not necessary and there are plenty of benefits to limiting the story to one main path. The argument for a "linear" story is much the same as that for linear level design: with complete control over the story, the author can exactly what they want, precisely when they want in order to evoke a particular emotion or drive home a particular point. Maybe you don't have side quests available at certain points in an RPG because it wouldn't make sense for the characters to be doing side quests at that point. There is a place for RPGs where you are the character and you can do whatever you want (Skyrim), but I find that if you want to tell a story, a more controlled environment and more defined character works better. Being able to slaughter innocents as the hero of legend just wouldn't make sense and would take you out of the story that the game was intended to tell. Once again, the differences are there because the games serve different purposes and different tastes. While (bad) linear games are more susceptible to a feeling of lack of freedom, nonlinear games have their own common problems. 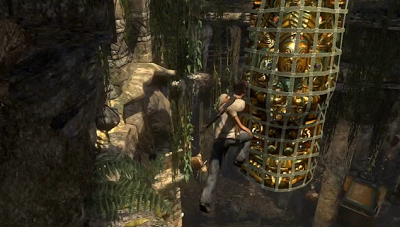 When the player is free to go where they want and do whatever they want, it is easy for the level design to become bland and uninspired. This is for the same reason that linear games ought to make level design easier; when the developer has to account for such a wide range of player positions and abilities, it's hard to make an adequate design. Nonlinear games also tend to be more susceptible to the "jack of all trades, master of none" syndrome. With so many options and so much variety, it is hard to keep the quality of everything high, to keep gameplay balanced, and to keep the story meaningful. Perhaps the times that linearity in games makes people so upset are when it comes contrary to expectations. Making a linear game in an otherwise nonlinear game series is an unexpected and drastic change, so it's easy to understand why fans wouldn't like such a game. But in such a case, it's likely that some other linear-preferring fanbase would like the game. 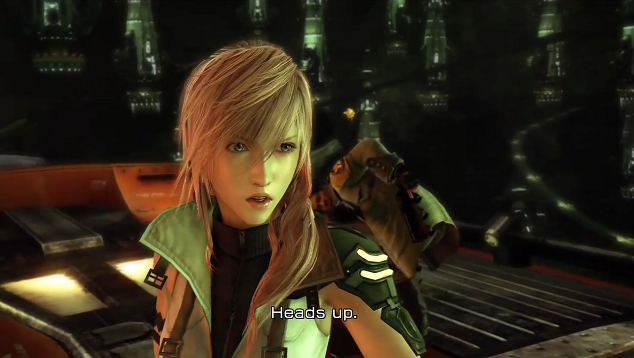 FFXIII wasn't as open as fans of the series expected. Both linear and nonlinear games have their pros and cons that can be accounted for with good design. Beyond that, it's all just a matter of preference. If you don't like linear games, fine, but don't call them "bad". If the game really is bad, point your finger elsewhere; linearity is neutral.